I can’t believe I’ve almost been blogging for 3 years. As a blogger, I definitely get the best of both worlds. I get to write about things I’m passionate about and monetize my site in a tasteful way. Right now, my blog earns a part-time income which is fine with me. I’ve been thinking about starting another site though unrelated to this blog but I know it will be a ton of work. Starting a blog or niche site is fairly simple. However, making money with your site will not happen overnight. Having said that, you can make decent money with a niche blog or site even within a few months if you are willing to put forth a ton of time and effort. A niche blog or site can rank highly on search engines because it is highly focused. The key is to focusing on a lucrative niche with a specific set of keywords that are popular but not highly competitive. Most people in my personal life have no idea what I do or how I earn money aside from writing as a freelancer for other websites. If you’re interested in learning how to make money with a blog or niche site, I created this post for you! What Is a Niche Blog or Site? A niche blog or site focuses on specific niche or topic. A niche could be a broad niche or a specific niche. For example, ‘pets’ is a pretty broad niche, but a blog about adopting dogs is more specific. 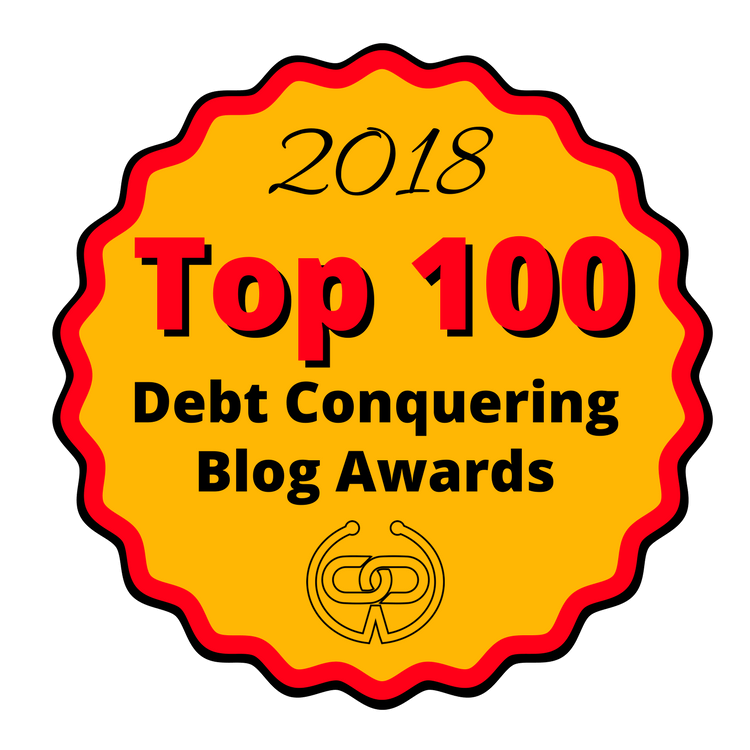 THe niche for this blog falls under personal finance, but specifically, I talk mainly about paying off debt, frugal living/saving, and earning more money along with a few subtopics. People who visit this site have a good idea of what type of content they’ll find on here. If I start talking about my purse collection, it would definitely throw most people off. There are some blogs that fall under the ‘lifestyle’ category which can get pretty broad, but lifestyle blogs can become pretty successful when you create a brand for them for readers and followers to connect with. There are two ways to develop a successful blog or niche site. You need to either build the site up from scratch or buy an existing site and update it. For more detailed instructions, check out my step-by-step guide to setting up your own professional self-hosted blog in just minutes or you can take my free 10-day course. There are many ways to monetize a niche blog or site and here are some of the ways I monetize my site. Have you ever used an amazing product or service and just had to tell a friend about it? What if you could earn a commission if your friend took your advice to heart and purchased this product or service? Affiliate marketing allows you to earn money by placing an affiliate link on your website, social media account, etc. so people can purchase a product or service you recommend. Affiliate links are unique to each person and track clicks and conversions, then pay out a portion of the sale to you. In order to start using affiliate links, you’ll need to sign up for an affiliate program with a company with a product or service you believe in. Then, once you receive your link, you can place it on your website in blog posts, on social media, on different pages of your website, embed it in your blog posts, etc. Affiliate marketing is great because it can eventually turn into passive income. Once you put links in a blog post or social media and promote it, you can earn money any time you make a sale even when you’re asleep or on vacation. The only thing is you must disclose affiliate links when you post them so your audience knows. I have a disclosure page (linked to in the footer) on my site that explains how I use affiliates. Instead of signing up to promote products directly, you can join a reputable affiliate advertising network such as CJ Affiliate (formerly Commission Junction) or ShareASale. These affiliate advertising networks work with a wide range of individual merchants or companies. If you are accepted by an affiliate advertising network, you can apply to different merchants to become an affiliate with just from one place. Affiliate advertising networks handle the payment on behalf of all the merchants and deposit the money in your account on their own so this is a major advantage. I will say that affiliate marketing is very strategic and will take some time and practice to implement. One thing you can do to speed up the learning process is to check out the Making Sense of Affiliate Marketing Course. I know so many people who have taken this course and rave about it and that’s because it’s very valuable. The creator of the course, Michelle, earns around $50k+ from affiliate marketing along EACH MONTH. She shares all her best tips and strategies in this course and updates it regularly. I’ve also found Michelle’s private Facebook group for course students super valuable if you have specific questions about affiliate marketing or need some added support. Many niche blog or site owners run online ads to monetize their websites. Google AdSense ad program is by far the most popular online advertising program you can run on your blog or site to earn some cash. Its PPC which stands for Pay Per Click, ad program pays you every time someone clicks an ad on your blog or site. The amount you receive per click can be as low as 10 cents or as high as 5 dollars, depending on the company or advertiser and the location of the visitor. You can also run PPV (Pay Per View) ad on your niche blog or site and earn typically around $1 to $2 per 1,000 page views. In addition to Google AdSense, other notable online advertising programs are Media.net and Infolinks (it provides hover ads within your text). Usually, the more traffic your website has, the more ad revenue you can earn. Many individuals or companies will pay you to write blog posts about their product, service, website etc. on your own blog. They will typically require you to insert a link back to their blogs to help drive traffic to their blogs. But, remember that Google does not like paid link exchange or link insertion activities. However, you can do it by inserting “nofollow” attributes or links to appease Google. If your blog or site attracts a large amount of traffic, you can charge more for a sponsored post. Typically, individuals and companies will pay you to review or discuss their products and services on your blog. However, make sure that you tell your blog visitors upfront when you do a sponsored post so that your integrity is not at risk. To earn more from sponsored posts and to attract more reputable companies, you want to build up your social following and create a media kit specifying your website’s mission, recent traffic, audience demographics, your rates for posts, reviews, and giveaways and other stats. You can also sign up for influencer networks to connect with brands that you’d be interested in working with. There are tons of influencer networks for you to choose from. I included a giant list in this Google Doc. A great way to make money from your niche blog or site is to write an eBook about what you know well and sell it on your blog. You may write about something relevant to the theme of your blog or site because it will appeal to your readers. You can automate the process by adding a shopping cart function or PayPal link to your site. I haven’t created an eBook to sell on my blog but I did create two guides. One is a budget wedding guide that is $20 while the other is a free guide to saving 50% of your income. It’s a giveaway item that new email subscribers receive. Once your niche blog or site attracts a large amount of traffic daily and monthly, you may be approached by businesses or brands to sell advertising space on your blog to display their ads. Then, you can earn money by selling ad space on your blog. This could be a nice way to generate some consistent recurring income. However, it’s becoming a less common income stream for blogs and niche sites. Depending on your niche, you still may be able to sell some ad space for a reasonable fee but most ad revenue comes from ad networks like Google Adsense, Media.net, etc. While offering a service is not a direct way to earn money from your actual site, it can still be a solid income stream. You can offer services as a blogger, freelance writer or virtual assistant, depending on your expertise. If you write for your own blog, you can do that for others too and get paid for that. This is how I became a freelance writer. Many blogs or sites will pay you to write blog posts or articles for them. Create a “Hire Me” page to let others know what services you offer. You can view mine here for a reference. List your services you are willing to provide for compensation. If you have a marketable skill, you can provide a service using that skill. Another way to make money with a blog or niche site is to create your own products to sell. Selling digital products like courses, guides, printables, images, etc. may be less of a hassle because you won’t have to worry about packaging and shipping. Yet and still, I know quite a few bloggers who enjoy selling physical products that they can ship out. One of my freelance clients runs a huge blog in the work-from-home niche and she created a detailed eBook to sell on her site to help people land home-based jobs they’ll love. If you are good at creating logos and graphics, you can sell them on your blog. I created my first digital product this year. It’s a mini-course to help freelancers improve their pitches so they can secure more work. I only sell it for $10 but it adds up when I’m adding up my total income each month. I hope to create more products next year when I set aside the time and do some more research about what my audience needs. I hope you enjoyed reading about the many different ways to make money with a blog or niche site and realize how blogging can lead to a very diversified income stream. The key to making money with a niche blog or website is to identify your audience’s expectations and be willing to put forth the time and effort needed to grow your platform. How much you can make from a nice blog or site depends on how much quality traffic you can drive to your blog along with the monetization techniques you use. Setting up a niche blog takes minutes but it will not make money overnight. If you continue to post great content, promote your blog, and use the right monetization methods, it is possible to earn an income from a niche blog or site after some time so be patient. If you’re interested in learning more specifics about strategic ways to monetize your blog and grow your traffic, I invite you to sign up for my free 10-day email course by filling out the form below. Have you ever thought about starting a blog or niche site? No joke I just bought a super niche domain the other day not related to personal finance at all. Great minds! I’m glad that you let people know that it’s not easy to make money from blogging. Too many people start blogging with the intent on making money the next month. It doesn’t work like that. You have to work hard and stay focused. For most people, it doesn’t work that way. Consistency and hard work is the key of ‘secret sauce’ to success if you’d put it that way. Blogging is far from easy money! I would recommend people commit to 6-12 months of blogging with zero expectation of making a dime. If you can sell sponsored posts and your services down the road that’s the best way to monetize imo. Very true. Sponsored posts and freelancing are great for short-term income streams. I’m not sure how I feel about having zero expectations though. Some people are able to say things like “It just happened and I never planned on making an income with my blog” but I’m not one of those people. It’s taken me lots of trial and error along with some strategy. I have really been thinking about starting a new blog or niche site! Not sure if I would have the time but I would love to do it. Same here, but I feel like if I keep telling myself the time isn’t right I’ll never get it done, haha. I already bought a domain and now I’m just going to focus on setting aside some cash to invest in it. I just started trying to monetize my blog to earn income. The suggestions you listed all sound great and while I have thought about eventually doing an eBook, I like the idea of creating a guide better. While the money does not come quickly, just having a blog has lead to a few unexpected opportunities. Lovely post! Glad to hear blogging has been going well for you! Gotta love affiliate marketing because it’s the best side hustle with guaranteed job security as long as you post fresh content consistently.